Gîte adjoining without vis-à-vis in the heart of the Aubrac. 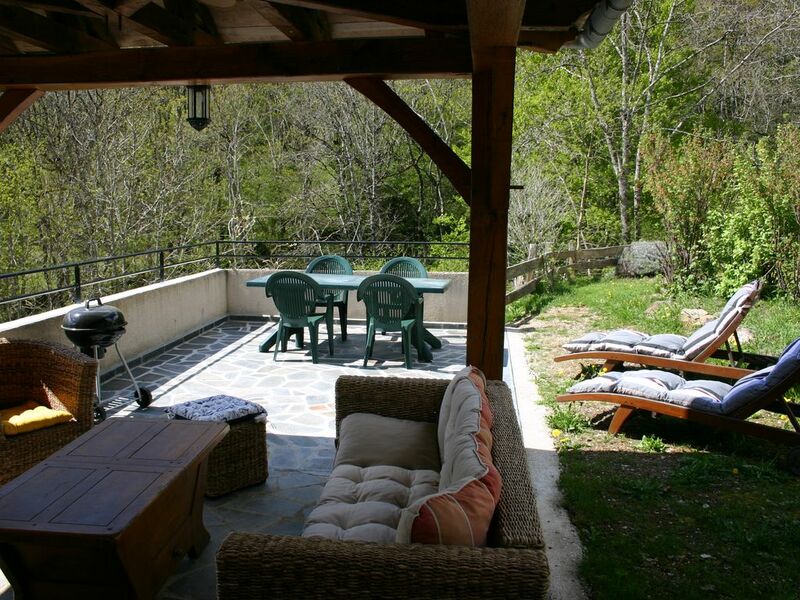 Terrace overlooking the forest for tranquility. 60m2 of full foot. Open living room on kitchen, bedroom bed 140, bathroom and separate toilet + mezzanine bedroom 2 beds 90. The cottage is 2 kms from St Chély d'Aubrac, 6 kms from Aubrac, 25 kms from Espalion, 25 kms from Laguiole and 12 kms from the ski resort of Brameloup. The outdoor activities are in this territory: hiking, trail running, skiing, western riding, mushing, canoeing, fishing. In the fall is the slab of deer that rocks us! The restaurants and burons will make you taste the local products including the famous aligot.